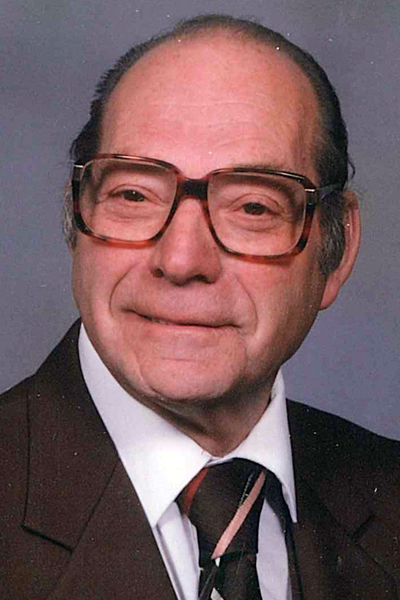 WARREN — R. Elmer Dunn, 91, of Warren, passed away Tuesday, March 19, 2019, at Windsor House of Champion. He was born July 13, 1927, in Morgantown, W.Va., a son of the late Sheridan S. and Bessie J. Minnear Dunn. Elmer worked for Darwall Furniture for over 30 years. He had a lifelong passion for woodworking, loved to garden, grow flowers, watch birds and read his Bible. Elmer was a member of Cortland Church of the Nazarene. He is survived by his children, Robert E. Dunn of Newton Falls, Freda (Jim) Ochsenbine of Warren, Allan (Betty) Dunn of Leavittsburg, Tom (Susan) Dunn of Streetsboro, Kenneth Dunn of Colorado, Mary Dunn of Vienna and Joe (Debbie) Dunn of Colorado; sisters, Joann Smith, Rita (Jerry) Towns and Judy Plush; as well as 16 grandchildren; and many great-grandchildren and great-great-grandchildren. He was preceded in death by his first wife, Virginia; second wife, Shirley; and third wife, Audrey; his son, Franklin Dunn; his parents; and siblings, Norma Squires, Earl Dunn, Eugene Dunn, Betty Peters, James Dunn, Sheridan Dunn Jr. and Gay Rude. Services will be 2 p.m. Saturday, March 23, 2019, at Carl W. Hall Funeral Home, where Pastor Fred Blauser will officiate. Friends may call 4 to 8 p.m. Friday, March 22, and also one hour prior to the service Saturday at Carl W. Hall Funeral Home. Entombment will take place privately in Pineview Memorial Park, Warren.